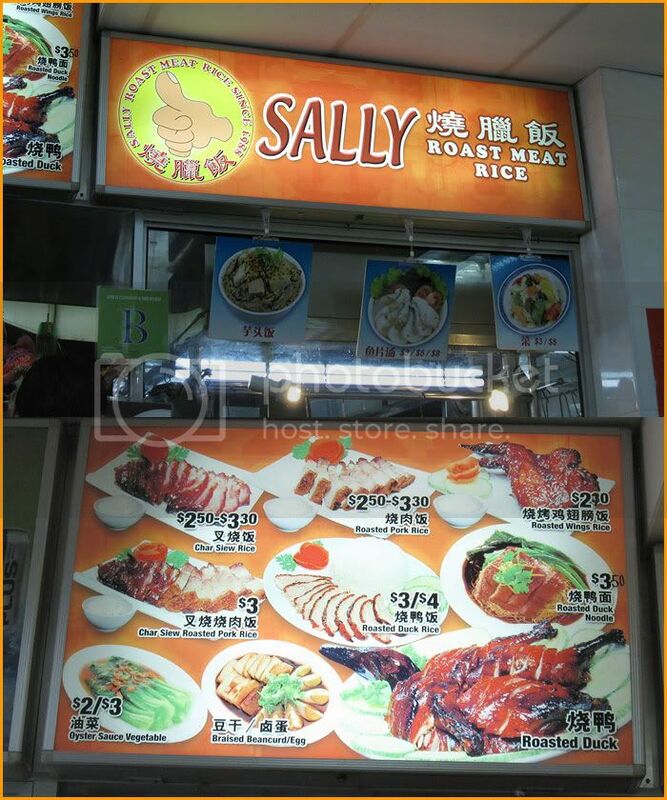 This little stall is well hidden in a café off Yio Chu Kang Road. 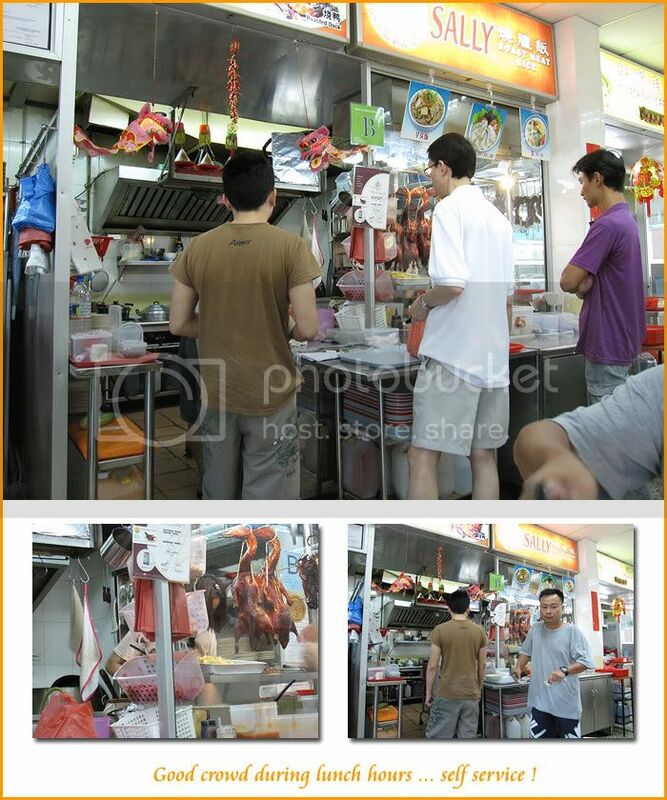 I did not eat at this stall and the above pic are forwarded to me via mms from eminorchua. 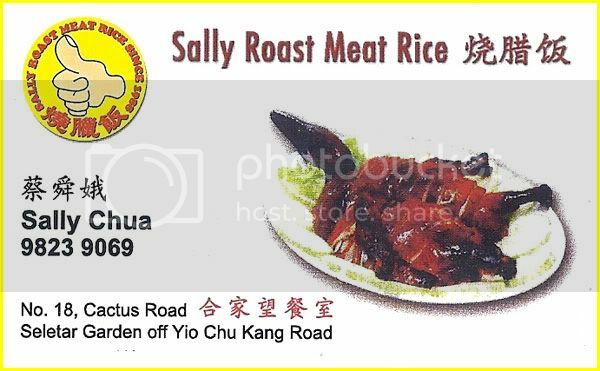 He had lunch there today with woofie and thought will share this 好吃好吃roasted meat rice with us. From the glass display self can see many kinds of roast meat neatly displayed. 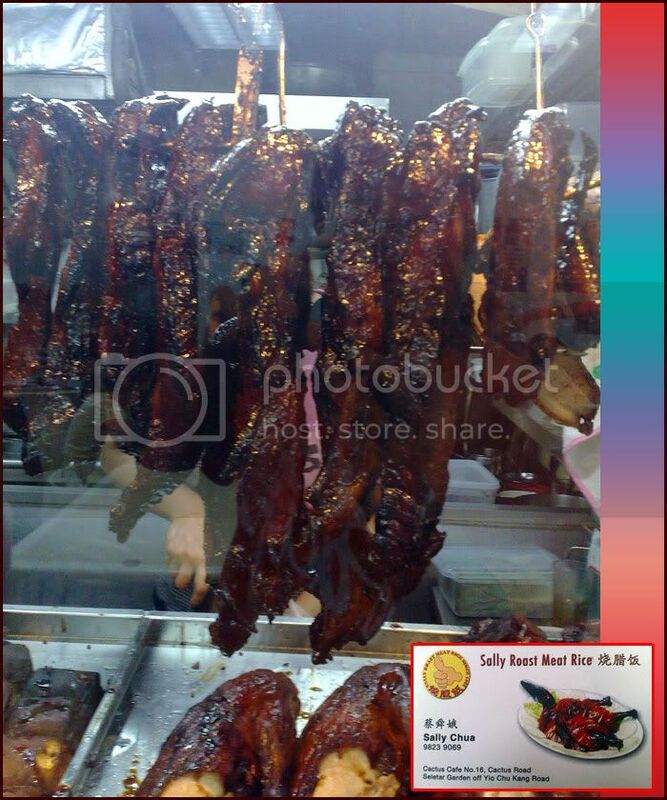 The char siew definitely looks delicious to me. Juicy with the chow ta bits at the corner ... my favourite ! According to them ... it's super delicious. Something which they willing to travel "long distance" just to have that for lunch. 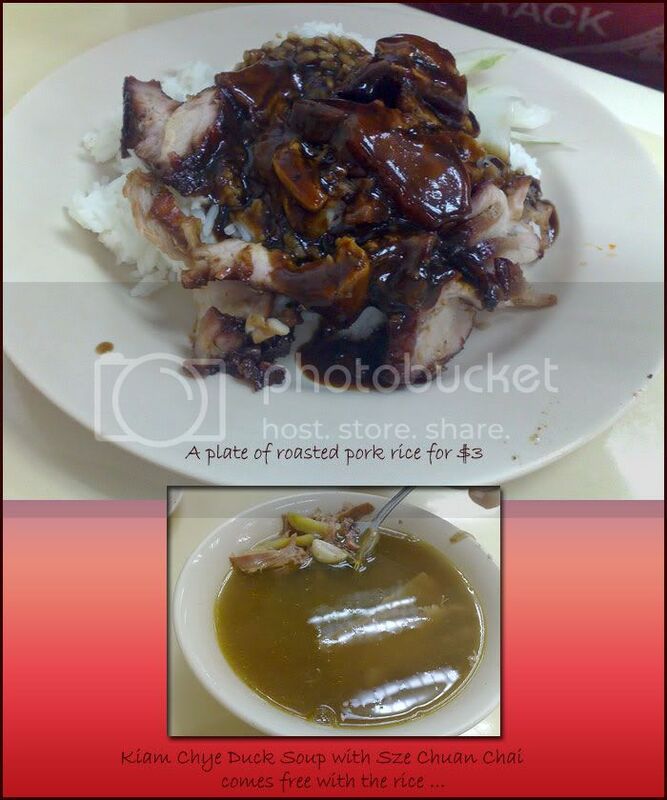 For $3, you get a decent serving plate of rice with some juicy char siew meat. And a bowl of kiam chai duck soup. Sure looks appetizing to me ... will definitely go try it out. Next time bring me go ok ? Thanks for the pics and another nice recommendation from you two. Not difficult to spot the cafe ... located just further down the lane as you drives into Cactus Road. Ambushes between some kopi tiams. Air-conditioned cafe with a good crowd during lunch hours. 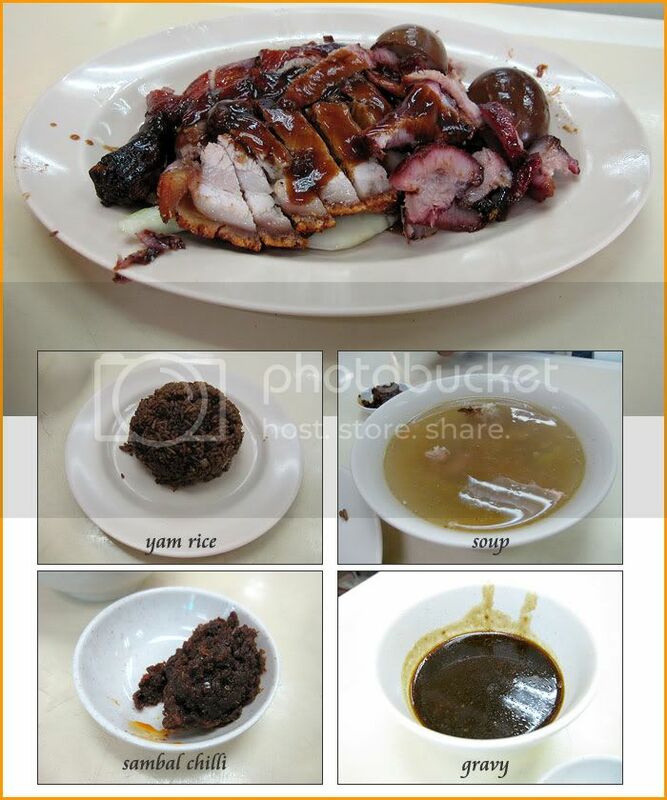 We order some mixed meat combination and a free bowl of soup comes with it. 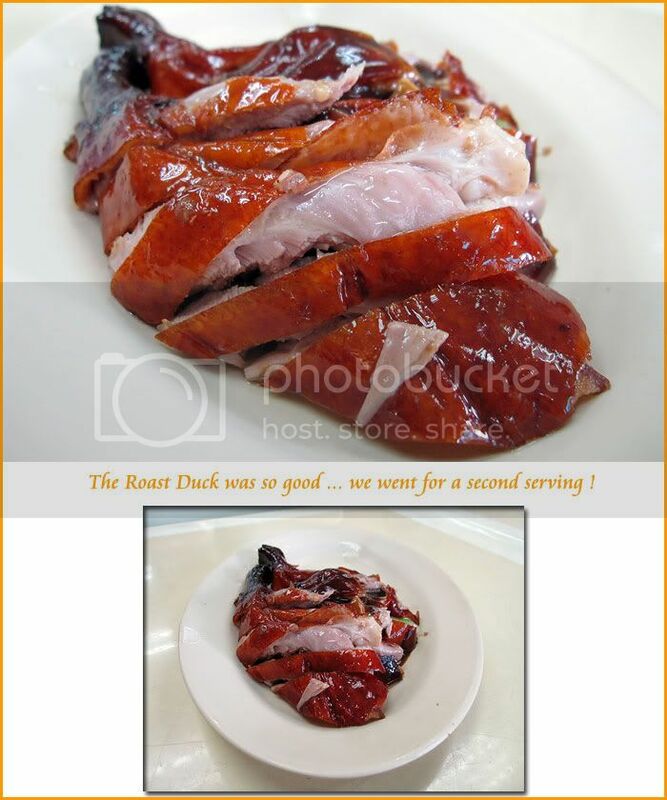 The deadly blow came when I took the first bite into the roasted duck ! It was really good ... juicy with a kind of nice fragrant coming off as you chew into the meat ...yum ! and another bowl of soup ... she was generous to filled it to the brim for us. 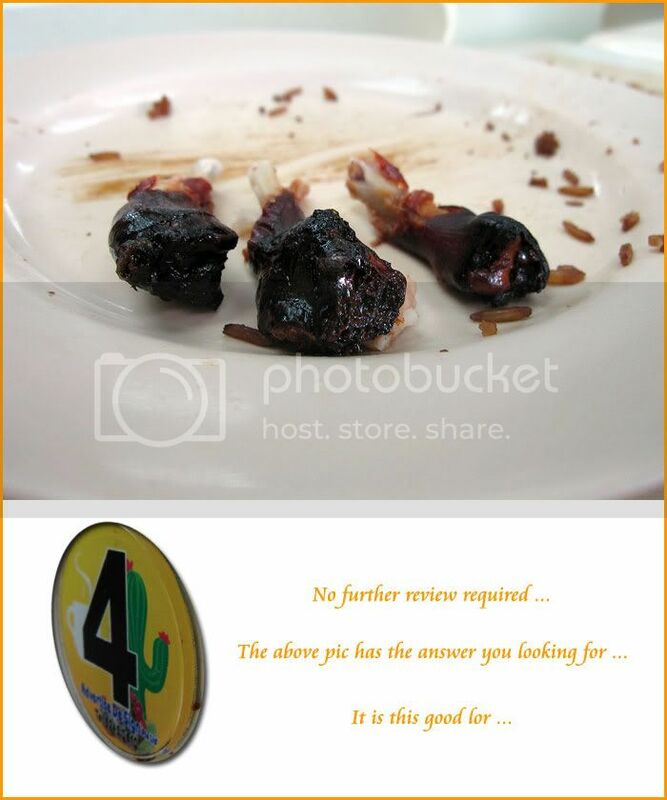 We tried their yam rice .. . too black for my likings. Prefer to eat it with white rice which I did order after. The sambal chilli here a bit too dry ... not oily at all. Probably so as they can keep it for a longer time. Definitely will be back for it again. if this pics can't make you go try this stall out ... the next pic will ! I miss it all ! Exactly the same taste, tender juicy and sweet ! 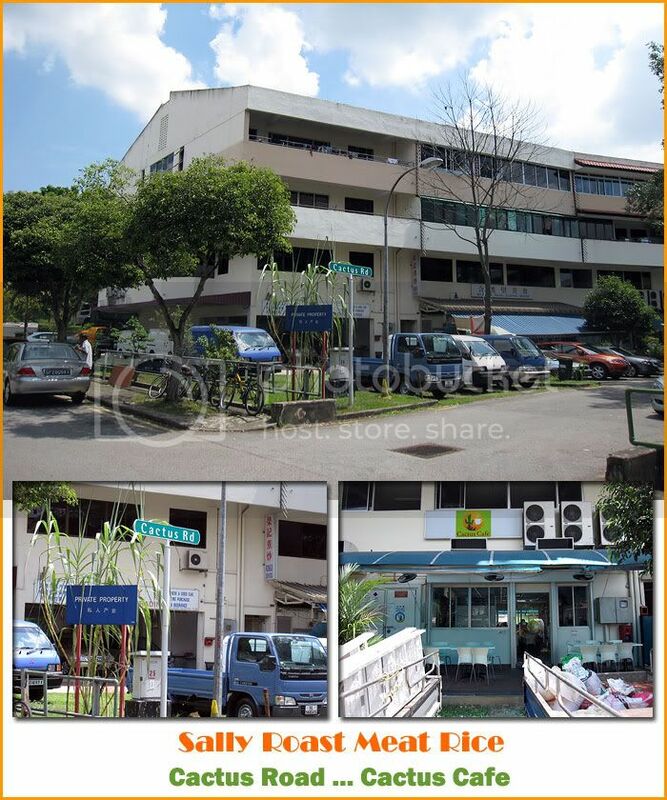 The Tze Char Stall there used to be at Seletar Hill Hawker Center. Quite nice as well ... though parking will be a problem. What I like about this stall other than the roasted meat ... the soup ! 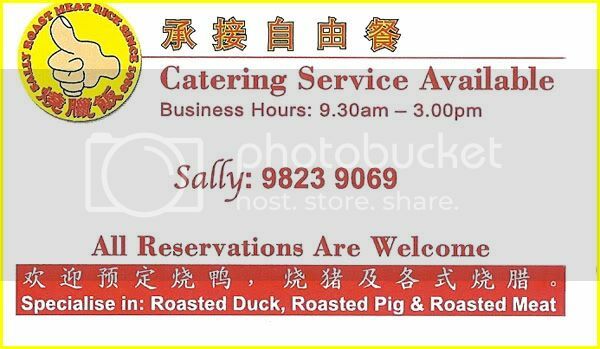 They are pretty generous with the soup and it goes very well with the roasted meat.